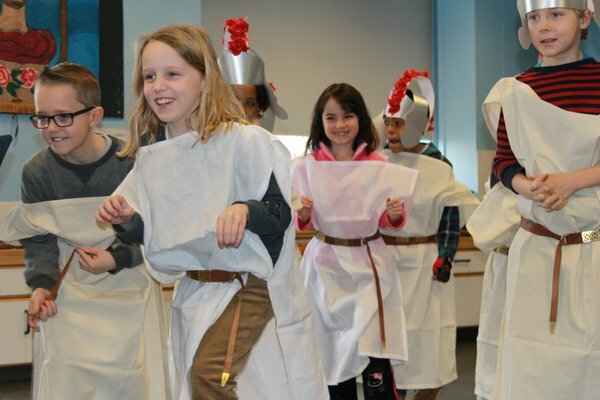 Segedunum Roman Fort and Museum is an ideal place for a truly memorable Birthday Party experience. A party host will greet your guests and accompany them throughout the party to make sure that everything runs smoothly. They will facilitate all the Roman games, army drill, dressing up and other activities. Price: £150 (for up to a maximum of 20 people). Suitable for children aged 6-9 years. Party bags are available from £3 per child. Please contact the museum for details and how to order. We recommend that you have at least three hours at Segedunum to explore the fort and make the most of the birthday party experience. Parties can be booked with a minimum of 8 children, maximum 20. Annual Passes cannot be used for any form of discount on parties. Adult Annual Pass holders can accompany the party free of charge but any children must pay the full party package price. No food or drink is allowed in the museum. The full balance must be paid 2 weeks in advance. Costumes must be returned at the end of the party.